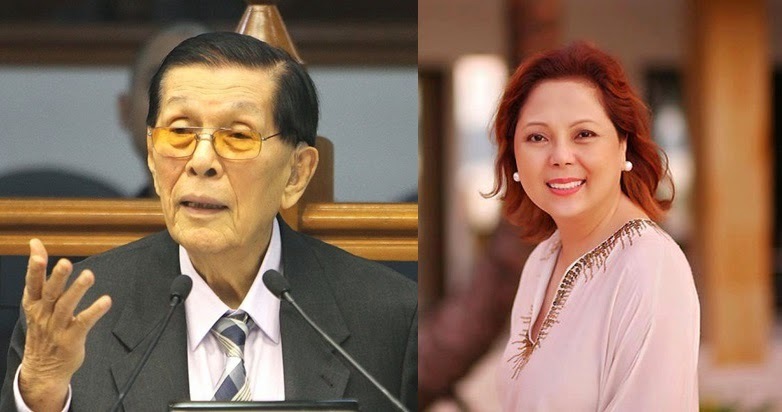 Manila, Philippines - Senator Juan Ponce Enrile surrendered to the Philippine National Police on Friday afternoon after the Sandiganbayan Third Division ordered his arrest. JPE was temporarily confined at the General Hospital in Camp Crame, Quezon City. Co-accused of the plunder case, his former chief of staff Jessica Lucila “Gigi” Reyes was not detained at the Custodial Center but the court ordered that she will be moved from Sandiganbayan detention cell to the Quezon City Jail on Monday. In a decision dated July 3, the Third Division ordered the arrests of Enrile, Reyes, alleged pork barrel scam mastermind Janet Lim-Napoles, her nephew Ronald John Lim and her driver-bodyguard John Raymund de Asis on plunder charges brought against them by the Ombudsman on June 6. 90-year old Enrile arrived in Camp Crame, the PNP's headquarters after 5 p.m. He was booked at the multi-purpose hall, the same process other senators Jinggoy Estrada and Bong Revilla had experienced. During his medical exam, it was observed that his blood pressure rose to 200/90. Abnormal heart sounds were also detected by the PNP doctors. "Kanina nung they were taking his mug shot medyo pagewang-gewang I guess he was suffering from vertigo...but he stood up and he was able to complete the photo session," former Cagayan Rep. Juan "Jack" Ponce Enrile Jr. told ABS-CBN News. Meanwhile, Enrile through his lawyers had requested to keep his 'mugshots' or the photographs of the booking process confidential as it would tend to sway public opinion against him. The PNP agreed to his appeal.